Need some excitement for the upcoming Memorial Day weekend? Well, you’re in luck. Ford, Shelby American, and Hertz are releasing a special run of 2016 Ford Shelby GT-H’s. 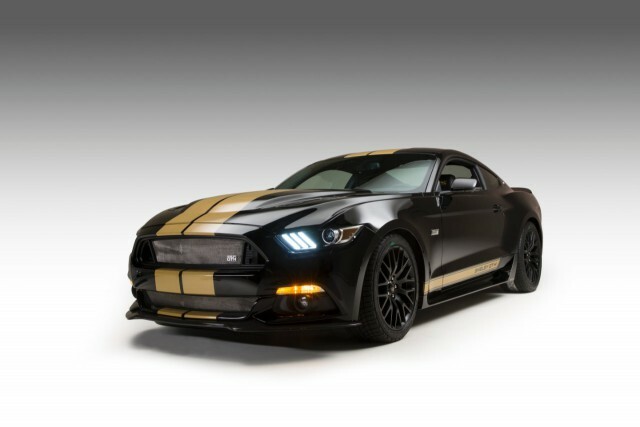 140 of these black and gold Mustangs will be available to rent beginning Memorial Day weekend. Several unique features of the 50th Anniversary GT-H include a Shelby carbon fiber front splitter, rocker panels with carbon fiber accent plates, and a polycarbonate hood with hood vents. The 2016 Shelby GT-H is the third Mustang to wear the GT-H badge. The first was released in 1966 followed a second iteration in 2006. The 2016 GT-H will be available for rent exclusively at select Hertz airport locations across the United States. For more information about the 2016 Shelby GT-H, visit hertz.com/ShelbyGTH.